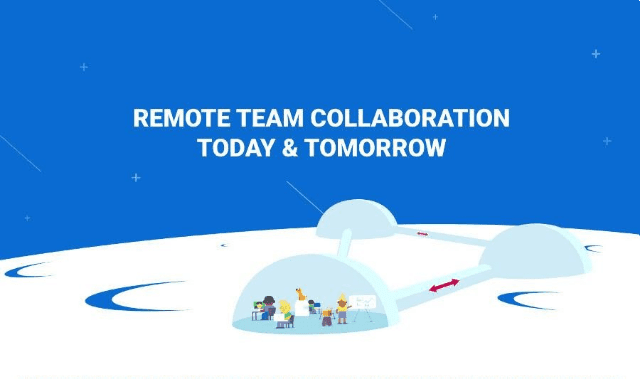 Remote Team Collaboration Today And Tomorrow #Infographic ~ Visualistan '+g+"
Working remotely can sound like a dream come true: There's no commuting, companies have access to global talent, and reduced costs can mean increased profits. It's reasons like those that have helped drive a rise in remote teams over the past decade. But remote work can come with challenges, including team collaboration and communication. An infographic, created by the business messenger team at Chanty, sheds light on the concept of global team collaboration, shares tips on how to use the right tools to get the best results from a distributed team, and offers insights into the future of remote teams.